Human beings often need boatloads of motivation to make it to the gym. We also like foods that come in plastic wrappers and beverages that taste way too good to contain zero calories and zero sugar. 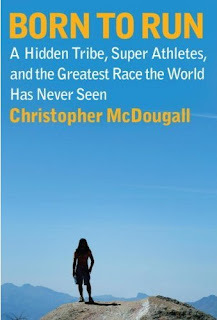 According to Christopher McDougall, human beings are also born to run. His exploration of an ancient culture in the depths of the Mexican canyons, and the crazy cast of characters he meets along the way, lead him to discover not only the secrets of breaking records from the Olympics to the way off road Leadville 100, but also more than he could have hoped about how to live a life. The Tarahumara, a secluded and reclusive Mexican tribe, run in thong sandals that they create out of tire and leather strips. They rarely include meat in their diets (mostly because they can't afford it), and live miles away from any hospital. This means that they go unvaccinated, without access to regular checkups, common medicines, or simple treatments. The Tarahumara can also run 100 miles in record breaking time and finish with a smile on their face, run live game to death for the rare protein gorge, and make it up and down thousand-foot peaks in a third of the time it takes to make the journey by horse. Oh, they die from old age… but hardly anything else. 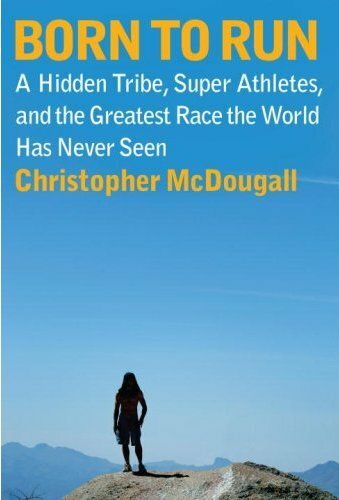 As McDougall comes to know these age defying super humans, along with a medley of U.S. talents, he is enlightened as to how far current culture has taken us from our own natures. Those $300 heel, ankle, and Achilles padded, solar activated, rain resistant, zero gravity running shoes we're investing in every three months? They're weakening our foot structures to the point where our degenerated bones are dependent on them to prevent injury, and they're causing a devastatingly high percentage of running injuries each year. Amazingly, our foot was actually made the way it is, because it works the way it is - without Nike's help. The foot's arch actually becomes higher by exercising it when you don't fill the space between the arch and the ground with rubber. In fact, barefoot pressure on the foot naturally raises your arch so much that one Olympic winner's foot shrank two shoe sizes. My own barefoot running test left muscles I didn't know I had sore for… well, they still are, a testimony to how little use they've been getting in my Asics. It also cut two minutes off of my usual 2-mile time. McDougall discovered that, in fact, human beings have evolved correctly in a lot more ways than current "fix it" society gives our species credit for. The Tarahumara live an entirely natural lifestyle, free from aggression, mental health issues, and premature aging, without putting any focus on achieving these effects. That's right, some mountain air, barefoot running, community focus, and time spent away from pollution has granted this tribe what the rest of the western world spends billions on every year for plastic surgery, yoga, fancy running shoes, and gym memberships, and they could still be pin-up ads for Botox. But "born to run"? Sure, we all know that exercise is a positive habit, but evolutionarily programmed? Compared to the rest of the animal kingdom, we're unforgivably slow and weak. We didn't even get camouflage, so we can't hide from the bigger, faster animals in the woods with their bigger, sharper claws and teeth. Yet when it comes to brawn, there is a place where humans distance themselves big time from the rest of the creatures on the planet. That's distance. The slow and steady cross-country crowd in high school was on to more than just how to obtain a nerdy label, something like Darwinism. We gather to run long distances, marathons, and double marathons. Hell, Forrest Gump gathered a cult willing to jog with him across the country. We're capable of keeping up a decent pace for hundreds of miles. Science tells us that homo erectus, the homo sapien's cousin who died out to clear the way for our rule, was stronger and smarter than us. So, what's up? Their bulk, coupled with their lack of an Achilles' tendon (a feature homo sapiens share with all of the fastest animals on the planet) left them unable to run as long and far as we can. This could have given us an advantage in an ability to outrun game. Most animals, while much faster than humans, can sustain such speed for a very short period of time. Keep chasing and they're lungs combust somewhere around the three to five hour mark. Granted, the theory has its holes. For instance, if the best distance runners are vegetarians, how was chasing meat our evolutionary edge? 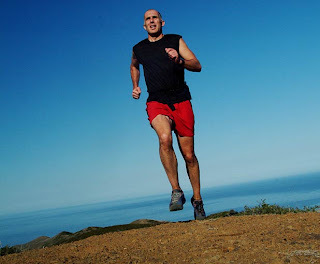 While the origins of the advantage remain elusive, the fact that our heads are positioned over our necks, that we have an Achilles' tendon, and that we lack the bulk of our primate ancestors makes our evolved running prowess undeniable. Born to Run is not a book only for people interested in running ultra marathons. In fact, it's a book about the fundamental elements of being human, and the necessity of returning to them in order to be human as best we can. Whether you're interested in sprinting up twenty-six hundred foot peaks through the Rockies for the Leadville 100, or completing a lap around your block without requiring I.V. aid after the fact, Born to Run explores the principles that allow all of us to be impressive athletes in the animal kingdom, as well as how to maintain a healthy mind and body without mortgaging your house. In the words of Dr. Lieberman: "If there's any magic bullet to make human beings healthy, it's to run." So get moving.